Probecom's Ka band offset VSAT series antennas adopt advanced surface treatment technology, which makes the antennas have the advantages of corrosion resistance and long lifetime. 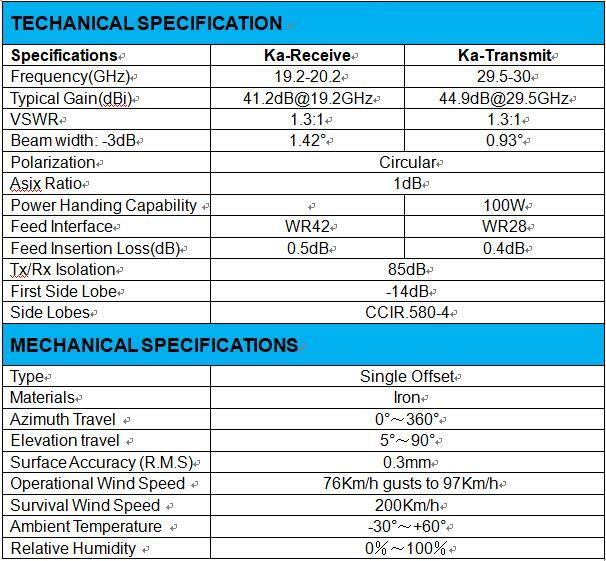 The antennas' surface accuracy (R.M.S) is less than 0.3mm and support various Ka transceivers in the market. Probecom's Ka band offset VSAT antennas are cost-effective and suitable for a wide range of applications. Products' size ranges from 0.74m, 0.98m and 1.2m. 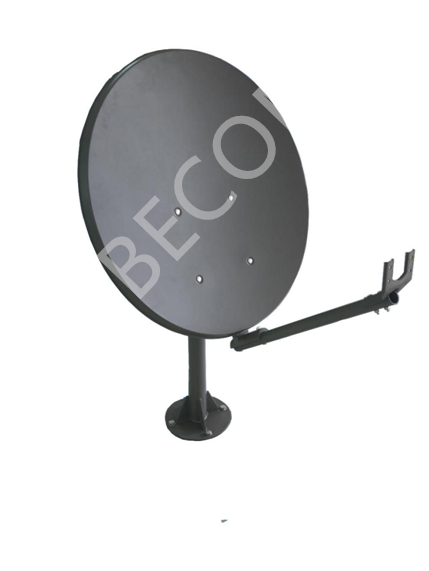 Any inquiry on this 74cm Ka band offset VSAT antenna please feel free to contact sales@probecom.cn for more information. Best buy product of this month: 1.2M Ku Band Manual Flyaway Antenna, just click item for more information, contact sales@probecom.cn for price and detailed information. Welcome to know our latest promotion product: Probecom Standard C Band Linear Diplexer hot sale high quality and completive price microwave components are just one click away. As a rapidly developing designer & manufacturer in satcom industry our company is concentrating on providing solutions on telecommunication we have strong ability of mass production machining ability in manufacturing flyaway antenna, earth station antenna of all ranges and bandwidth.